Milk thistle is a pasture plant found throughout Europe and the Pacific Northwest of the US, although it is indigenous to the Mediterranean. Like other thistles, the plant protects itself with sharp thorns, which are memorable when brushed against. For centuries, the entire milk thistle plant (sans thorns) has been cultivated for food, most notably in European monastery gardens. The plant contains compounds collectively known as silymarin, which are toxic to livestock but provide the modern emergency antidote to mushroom poisoning in people. These seeds are pleasant tasting and a good source of protein and amino acids. 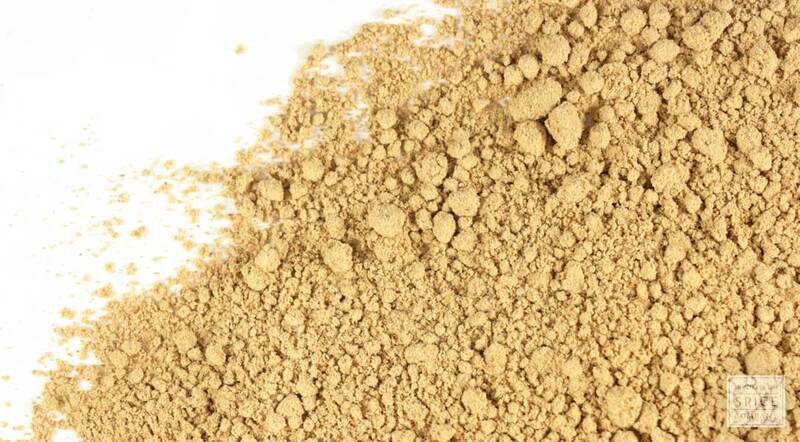 The powdered form is a convenient way to enjoy this herb in smoothies, yogurt and other foods. storage tips Store in a tightly sealed container in a cool, dark cabinet. cosmetic Use milk thistle seed to make poultices and skin washes. The powder may also be infused with oil for making salves and ointments. culinary Sprinkle directly into foods, such as smoothies, hot cereals, soups and stews. The powder may also be encapsulated. safety May cause stomach upset and/or diarrhea. This herb should not be used during pregnancy or if there is a history of liver, gallbladder or kidney disease. Do not use milk thistle products if you take other medicines without first consulting your physician because compounds in this herb may interfere with the absorption of pharmaceutical medications metabolized the liver enzyme CYP3A4. 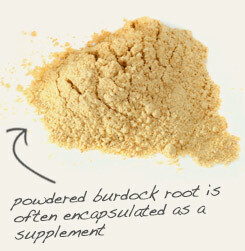 Encapsulate powdered milk thistle seed with powdered burdock root as a dietary supplement. 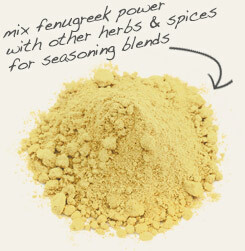 Combine powdered milk thistle seed with ground fenugreek seeds to enhance the flavor of curries and other foods. Pleasant, with a slightly nutty flavor. Milk thistle is a member of the daisy or sunflower family and is characterized by tall erect stems with mottled, toothed alternative leaves that yield a milky liquid. The upper leaves support purple flower heads that are composed of tube-like florets surrounded by thorny spines. A hardy plant, milk thistle is commonly found growing along wayside paths and in pastures. Milk thistle seeds contain up to 3% flavonolignans, primarily silybin A and B, a mixture referred to as silibinin. Other compounds include isosilybin A and B, silychristin and silydianin. These agents are together known as silymarin. The seeds also contain up to 30% fatty oil, vitamin E and the flavonoids apigenin, quercetin, taxifolin and naringenin. Historically in ancient Rome and Greece this herb was used for liver disorders, but has also been grown by many cultures as a food. In Arab culture the young leaves are considered a delicacy and are added raw to salads. In medieval Europe all parts of the plant were eaten like a vegetable: the young roots were roasted; the peeled stems were braised or stewed; the spiny flower heads prepared like artichoke; and raw leaves (with stingers removed) were added to salad. Nowadays the roots and peeled stems are still consumed as a vegetable often served after being boiled, while the base of the flower heads are cooked and eaten with melted butter (similar to familiar artichoke recipes). The seeds are also roasted and used as a coffee substitute. Try sprinkling powdered milk thistle seeds into hot cereals, rice and vegetable dishes, either alone or in combination with sesame, sunflower, flax or other ground seeds. In terms of flavor, the seeds complement fish, soups and stews.